Thanks to its high sugar content, honey has an indefinite shelf life. The only issue that may arise when storing honey is crystallization. If your honey begins to look cloudy or hardens, it’s because crystals are beginning to form. Thankfully, your honey is not spoiled if it crystallizes. Crystallization is the natural process in which the liquid in the honey becomes solid. Raw honey will crystallize faster when kept at cooler temperatures, and therefore should always be stored at room temperature, never refrigerated. If your honey crystallizes, you can easily reliquify it by gently heating the jar in a pan of hot water, and stir until the crystals dissolve. Do not overheat your honey. 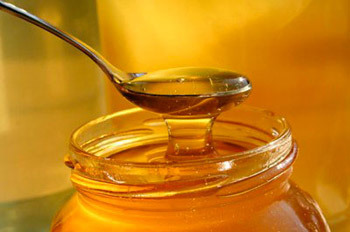 Beneficial enzymes are damaged with at high temperatures and boiling will scorch the honey, altering the flavor and color as a result of caramelization of the sugars.